Many international students feel caught in between two cultures, the American culture and the culture of their home country. A short documentary by Amie Song, which was recently featured on Foreign Policy, offers a close look at the challenges and struggles of being stuck “in-between” with stories of three Chinese students who were studying at Smith College. The comments from these three young women are thoughts and voices of hundreds and thousands of Chinese students on American campuses. China and the United States have very different cultural construct and values that shape dissimilar social behaviors and decision-making process, both of which are critical to international students inclusion and success. It is time for us to recognize the cultural differences and acknowledge its core impact on international students’ acculturation, campus integration, and career decisions. 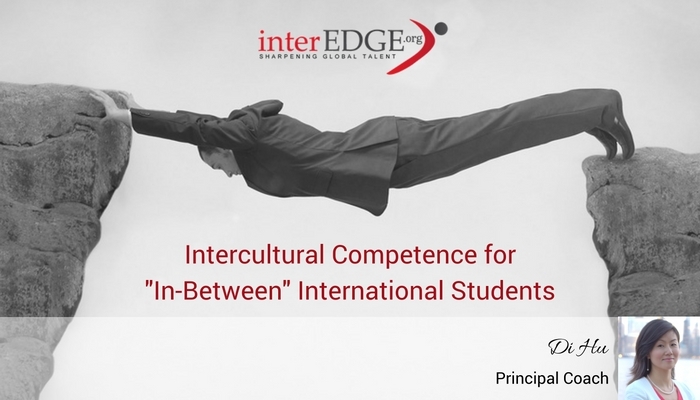 Intercultural competence is not a nice-to-have accessory, but an essential toolkit for all international students. It benefits everyone in the game. First, it improves every student’s experience on campus, both international students and their domestic peers, and cultivates true “diversity and inclusion”. It also boosts and sustains the enrollment growth. Second, it eliminates campus staff’s frustration and contributes to their morale as it provides international students with the contextual knowledge and capability to utilize the existing support and services. Third, with improved intercultural skills, international students will maximize the opportunities that come with their education experience in the U.S. and yield the best return in their personal and professional development on invest of their time and money. Watch a trailer for the documentary below or check out the full version here.